Tencent is killing off a popular online poker game as the Chinese government steps up scrutiny of the gaming industry. "Texas Everyday Hold'em" notified players Monday that the game was being pulled because of "changes in the company's business." 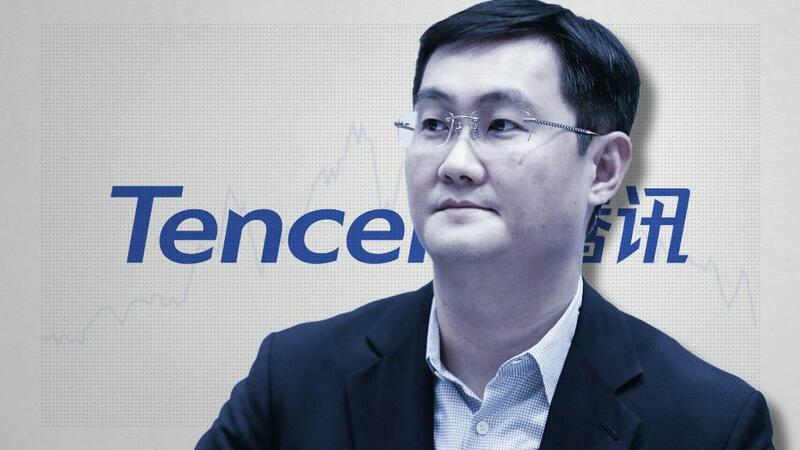 It's the latest in a series of setbacks in China for Tencent (TCEHY), the world's biggest gaming company. Tencent's stock has plunged about 35% since January, wiping out roughly $200 billion in market value as concerns have mounted about its difficulties in its home market. 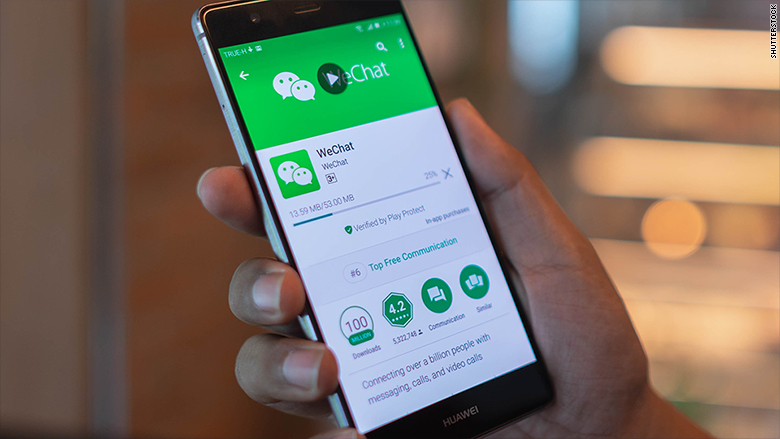 Tencent, one of China's largest tech companies, offered "Texas Everyday Hold'em" through its messaging app WeChat, which has more than 1 billion users. The company stopped recharging players' accounts and halted poker games on Monday, according to a statement. Server data for the poker game will be deleted on September 25. Gambling is illegal in China, but online poker games like "Texas Everyday Hold'Em" got around restrictions by letting users play with virtual tokens like "diamonds" or "Texas dollars." They could win the items or use real money to buy them from the gaming company. But some people were trading virtual tokens for cash, analysts say, and that caught the attention of Chinese authorities. Tencent offered "Texas Everyday Hold'em" through its hugely popular WeChat app. Chinese regulators didn't respond to requests for comment Tuesday. Tencent said it would compensate players according to government regulations. It didn't respond to a request for further comment. Tencent shares in Hong Kong closed down 1.8% on Tuesday. Tencent's other problems in China include delays in securing government approval to make money from new mobile games. Company executives last month attributed the halt in new licenses to a bureaucratic reorganization of Chinese agencies that regulate the industry. As a result, Tencent hasn't been able to make money from some of its most popular mobile games such as "PlayerUnknown's Battlegrounds." 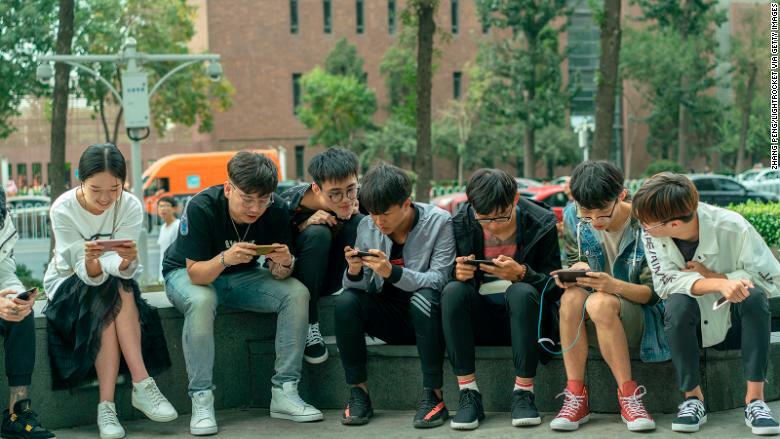 Adding to the concerns, Beijing announced plans last month to limit the number of new online games and restrict the amount of time kids spend playing on electronic devices. The Chinese government is seeking to more tightly regulate how much kids play online games. Karen Chan, an analyst at investment bank Jefferies, predicted Tencent will probably be able to weather the difficulties. She noted that most of the new regulatory changes are aimed at preventing addiction among children, who usually don't spend a lot on games. Although kids play a lot of online games, they only contribute about 10% of the industry's revenue, Chan said in a research note on Friday. Last week, Tencent said it had stepped up efforts to police kids' access to "Honor of Kings," a game that came under fire last year for allegedly causing addiction in young people. The massive popularity of "Honor of Kings" was what sparked the increased government scrutiny of Tencent's games, said Neo Zheng, a Beijing-based analyst with research firm IDC. New users of the game now have to log on with their real names, which will be checked against government databases to determine players' ages. The company restricts how long minors can play, when they can access the game and how much they can spend. "Children are the hope of their families, the future of the country," the company said on its official WeChat account, parroting the government announcement laying out plans for new restrictions on the gaming industry. -- Eric Cheung and Serenitie Wang contributed to this report.